If you think it's stupid too - PLEASE tell them. 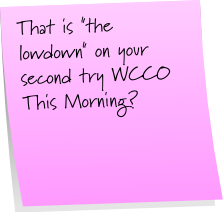 It is so dis-jointed from the rest of their morning show, I realize it takes about ninety seconds but I HATE IT! that is all. I am so excited about Black Eyed Peas preforming that I wasn't even aware of Christina singing! I love her too! I just can't believe that I live so close but can't be there to watch it! Althoug, ater finding out parking alone is 1,000 a car, i think I can live without! 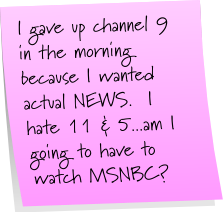 I only watch the national news ... not only for the news but I have a thing for Brian Williams and David Gregory ;-) HAppy PINT- following you now- hope to see you by my place soon! Happy PINT! It was so nice of you to stop by! I'm excited about Christina too! At least you're in the states and have CHOICES, lol!! We're stuck with what the military thinks is *popular programming* - OY!!! Don't feel bad, I didn't know any of this until I read your blog today! I'm so news deprived! 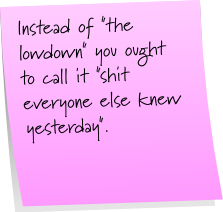 Now see - I don't keep up with the news so both of those tidbits are news to me. But I get what you're saying - you want meat and they're giving you doritos. 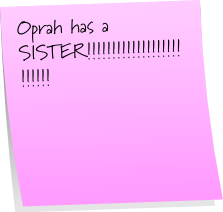 Imagine how cool it would be if you were Oprah's sister??? Oprah has a sister??? Really?? Why does she never mention her? Is she a private person? Crazy! 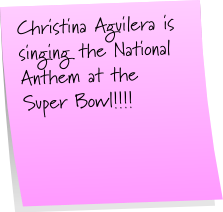 Christina Aguilara is singing at the Super Bowl!? The Half Time show is back!